OFFICE IS AT INTERSECTION OF FRANKLIN HILL RD AND MILFORD RD (BUSINESS 209) IN SMITHFIELD TOWNSHIP. IT IS DIRECTLY ACROSS FRANKLIN HILL RD FROM ABT COLLISION CENTER AND DIAGONALLY ACROSS MILFORD RD FROM THE COUNTRY KETTLE STORE. IT IS 1/4 MILE SOUTH ON BUSINESS 209 FROM THE LIGHT WHERE IT SPLITS FROM ROUTE 209. IT IS APPROXIMATELY 3 MILES FROM THE INTERSECTION OF BUSINESS ROUTE 209 AND ROUTE 447 (EAGLE VALLEY CORNER) IN EAST STROUDBURG. The East Stroudsburg Social Security office is located in East Stroudsburg 18301. The following page includes information for this location like the office phone number, hours of operation and driving directions. If you have any interests or comments about your retirement benefits or are interested in making an appointment, call the following East Stroudsburg Social Security office. 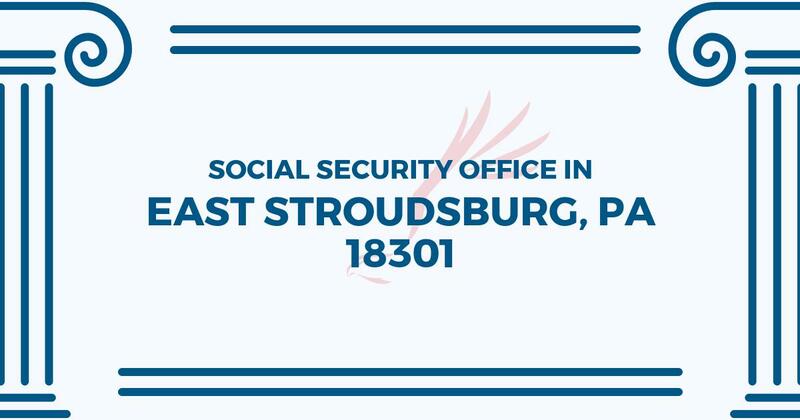 The East Stroudsburg Social Security office is located in East Stroudsburg 18301. The following page contains information for this location like the office phone number, hours of operation and driving directions. If you have any curiosities or doubts about your disability benefits or are interested in making an appointment, call the following East Stroudsburg Social Security office.